Extremely rarely appearing opening match CMLL rudo from 2005 to 2008, usually wrestling with others who didn't appear all that much. 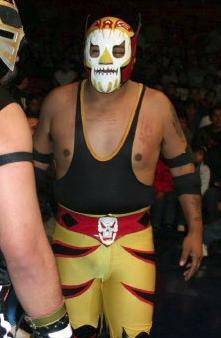 as Angel Mortal Jr. with Marabunta Jr. This page was last edited on 4 March 2016, at 13:51.